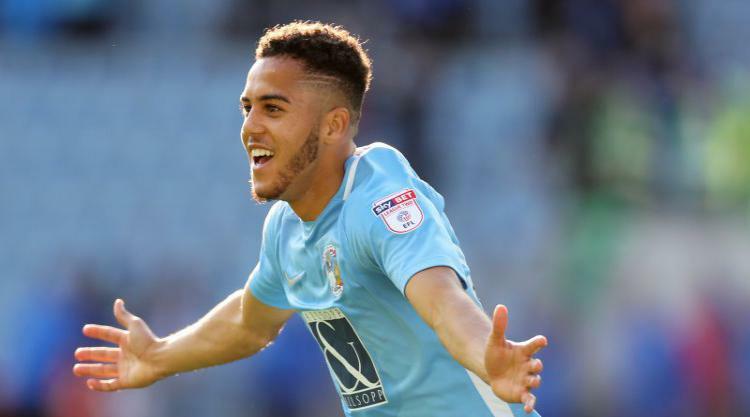 Exeter suffered their first Sky Bet League Two defeat of the season as Troy Brown’s own goal and Devon Kelly-Evans’ first Football League goal secured Coventry a 2-0 win. Defender Brown turned a low cross from Jodi Jones past goalkeeper Christy Pym in the 58th minute before Kelly-Evans fired in a last-gasp second from a Jones pass. Notts County moved to the top of the table with a convincing 4-1 win against 10-man Lincoln. The Imps had Billy Knott sent off for a high boot on Ryan Yates in the 28th minute and they were a goal behind before the break when a Jon Stead volley took a wicked deflection and spun into the corner. Lincoln hauled themselves level early in the second half through Harry Anderson’s looping header, but Matt Tootle rifled in a stunning second to restore the Magpies’ advantage after 55 minutes. Jorge Grant’s superb free-kick put County firmly in control and Terry Hawkridge wrapped up the points two minutes from time. Luton moved up to third with a 1-0 win at home to Chesterfield. The Hatters took the lead in the 53rd minute when a superb pass from substitute Jordan Cook set Danny Hylton clear and he slotted home. Luton were reduced to 10 men with 13 minutes remaining when Pelly Ruddock was sent off for a late challenge on Andy Kellett but Nathan Jones’ side held on. Mansfield came from behind to beat Cambridge 2-1, with a Jacob Mellis penalty and 87th-minute Danny Rose strike cancelling out Leon Legge’s opener. Danny Grainger scored twice as Carlisle romped to a 5-0 win at Crewe, with Alex defender Michael Raynes giving away a penalty and scoring an own goal against his former club. Padraig Amond has a habit of scoring against his former club Grimsby and he scored the only goal of the game in a 1-0 win for Newport, poking the ball home from Frank Nouble’s flick-on. Jimmy Smith scored twice to earn Crawley a 2-1 win at Barnet, while new loan signing Kyle Wootton snatched a 2-1 victory for Stevenage against Morecambe, scoring the winning goal a minute after coming off the bench. Craig Mackail-Smith grabbed the winner for Wycombe in a 2-1 success at Colchester and Port Vale held on for 1-1 draw at Yeovil, despite Jamie Gibbons’ dismissal with eight minutes remaining. Accrington and Cheltenham played out a 1-1 draw, with both goals coming in the space of two second-half minutes from Mo Eisa and Kayden Jackson.